At Patriot Chimney, we offer three levels of inspections, as regulated by the National Fire Protection Association. The higher the level, the more thorough the inspection. 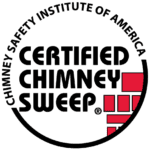 Keeping your chimney clean is essential for the safety of your home. A heavy build-up of creosote can lead to chimney fires and can contribute to air pollution. Our regular cleanings can ensure the safety of your family. It is important to clean your fireplace regularly to protect against blockages, smoke leaks, inadequate ventilation, insufficient draw, down-draught and tar build-up. We will make sure that your fireplace will not generate any damage as you spark it up during the winter. Sometimes you’re not happy with the aesthetics of your chimney. Our chimney experts will be sure to design the fireplace of your dreams. If your chimney has been damaged by a storm, wind, fire and or ice and you need a technician to your home as soon as possible, call us and we’ll be there in no time. 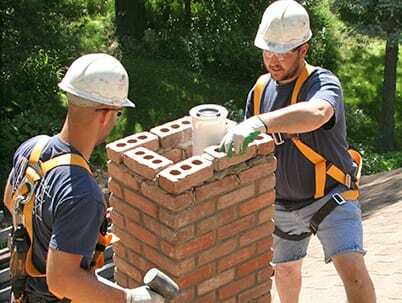 At Patriot Chimney, we know how to build a chimney to code and what a really good chimney can do for you in the long run. We understand the requirements of a chimney and how to make a durable system that will keep your family warm and stress-free. If your chase cover is weathered, it may be in your best interest to replace it, to protect your chimney and home. Patriot Chimney can replace your chase cover with a durable product. A damaged chimney liner is a very dangerous situation if you are regularly using your fireplace. Cracks, leaks, gaps, and spalling in masonry chimneys can lead to chimney fires, deterioration, water damage, and potential erosion. 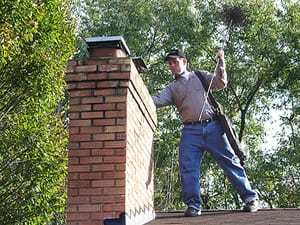 Relining your chimney is necessary when the old one deteriorating, which is hazardous to your chimney. The lining is what channels the heat and gases up through the chimney top and blocks the heat from causing the combustible material in the chimney to catch on fire. Masonry deterioration accelerates when the chimney is freezing and thawing because of the water contained in it. The water can also rust in the steel and cast iron parts of your chimney, destroying the metal parts as well. A wood stove is a great way to keep your family warm during the winter. If you are frequently using your wood stove, calling Patriot Chimney for an inspection can tell you if you are are getting maximum efficiency out of your stove. Not only this, but you will also know if your stove is a safety concern or not. Dryer fires are much more common than you would think. When your vent is not cleaned your dryer runs a lot hotter and increase the chances that something catches fire. We clean your vents with professional grade vacuums and use a brush through the entire length of the vent to make sure the bulk is cleaned out, ensuring that the clean will last. If water from your gutter is not properly controlled off of your roof then the water is forced to go into places you do not want, such as your crawl space or basement, which freezes in cold temperatures causing your foundation to crack. 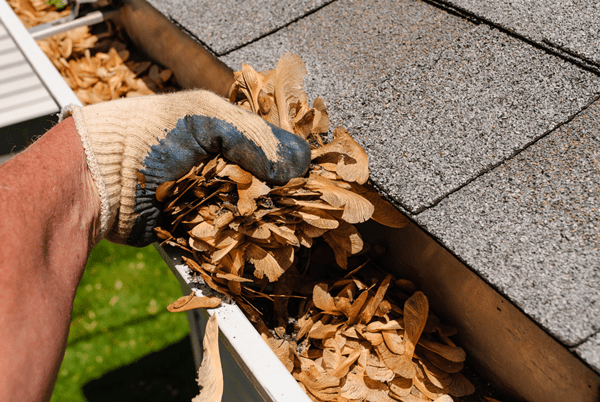 We will thoroughly clean all of your gutters and make sure they are all functioning properly. If repairs need to be done, we can provide those services. Our CSIA certified technicians are available on your schedule! Call ahead to schedule a convenient appointment time around your busy life! Each Patriot Chimney technician is courteous, respecting your home and your family. Our attention to detail ensures quality, safe work every time! Before our technicians start any work, they always explain what they are going to do. You’ll never encounter surprise fees with Patriot Chimney!